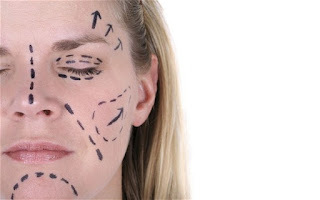 Image: Preparation for plastic surgery. Photo by Getty. Plastic surgery has always been a topic that has deeply interested me. Not because I want to make any changes to my appearance, but rather because I am completely shocked by the tremendous and growing popularity of reconstructive surgery. When thinking of medical technology and art, reconstructive procedures are the epitome of both fields working in unison. The human body is one of the most heavily utilized methods of artistic expression. It is an intricate web of different systems to create something so complex and beautiful. This biological beauty of the human body is explored by Donald E. Ingber who explains architecture of the body as tensegrity which is “a system that stabilizes itself mechanically because of the way in which tensional and compressive forces are distributed and balanced within the structure” (Ingber 48). In a world constantly striving for perfection, people demand the most outrageous of transformations in an attempt to reach their version of perfection. With the outrageous demands that doctors are constantly presented with, The Hippocratic Oath portrays the seriousness of their work in upholding certain ethical standards in their practice of medicine. “The most popular cosmetic procedures are for making eyes rounder, slimming down jaws, or making noses pointier” (Sharma). Lip injections and wrinkle eliminations are also very popular procedures in a world where youth seems to be of primary importance. In the age of social media and taking the perfect “selfie”, more women than ever are resulting to plastic surgery and facial reconstruction to improve their image. One of the most popular countries for plastic, reconstructive surgeries is China. Plastic surgery “sales to Chinese consumers [is] poised to double to 800 billion yuan ($122 billion) by 2019, up from 400 billion yuan in 2014” and China is “is set to become the industry’s third-largest market in the world” (Burkitt). The millions of apps available online to enhance the skin and structure of the face to create the “perfect selfie” is also significantly influencing the growing market for reconstructive surgeries. Image: Chinese website that pairs individuals to plastic surgery clinics. In addition to utilizing art to medically alter a person, there are also artists that utilize medical technology to create new forms of artistic expression. Diane Gromala, for example, utilizes biofeedback and virtual reality to create images of the inside of the human body. Ingber, Donald E. "The Architecture of Life." Sci Am Scientific American 278.1 (1998): 48-57. Web. 3 July 2016. TEDxAmericanRiviera - Diane Gromala - Curative Powers of Wet, Raw Beauty. Youtube.com. Web. 3 July 2016. Tyson, Peter. "The Hippocratic Oath Today." NOVA. PBS, 2001. Web. 3 July 2016. Burkitt, Laurie. 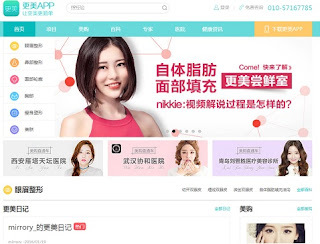 "Beauty and the East: China’s Plastic Surgery Boom." WSJ. N.p., 5 Feb. 2016. Web. 03 July 2016. Sharma, Swati. 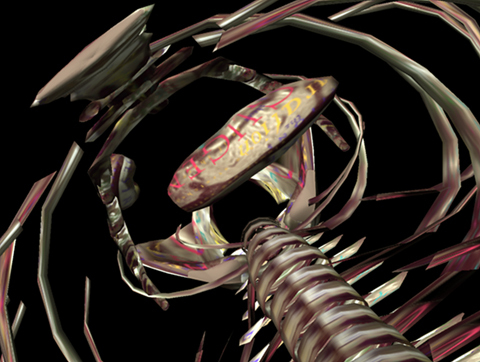 "Surgery to Die For: Surgeries of Any Kind Come with Their Own Risks." Http://www.deccanchronicle.com/. Deccan Chronicle, 07 June 2016. Web. 03 July 2016. Cosmetics and plastic surgery is something that I missed during my reflection on this unit's materials. It's a refreshing perspective and I think it makes absolute sense that using technology to achieve and express our desired attributes is a form of art. Using our own bodies as the canvas is something I failed to considered and now, as I come to think about it, shows a huge amount of emotional and physical dedication. After all, reconstructive procedures are arguably permanent and speaks perfection in the will of the artist. As a Chinese student, I completely agree with you that China has a huge market for plastic surgeries. I have a lot of friends who underwent minor surgeries like getting a double lid. Some even tried to persuade me to get one. While I believe people have the freedom to do whatever they want with their bodies, I am worried about how plastic surgeries change our perception of beauty. In China, when you open the television, the actresses all look very similar with big eyes, tall nose and slim jaw. Popular figures on the social media also have very similar looks like they are all following the same template of "beauty", and yet millions of young girls look up to them and wish to be like them. Personally I don't think it is a healthy definition of beauty.